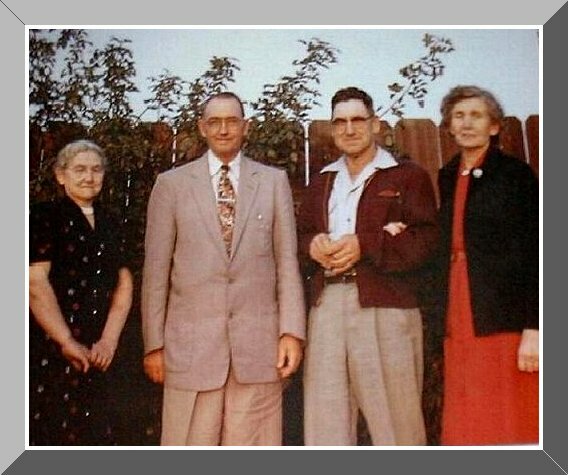 From left to right: Frona Conley Adams, her husband Charles Adams, Ollie Conley and his wife Dora Allen Conley. Frona and Ollie are sister and brother of Oscar Conley. I don't know when or where this photo was taken.